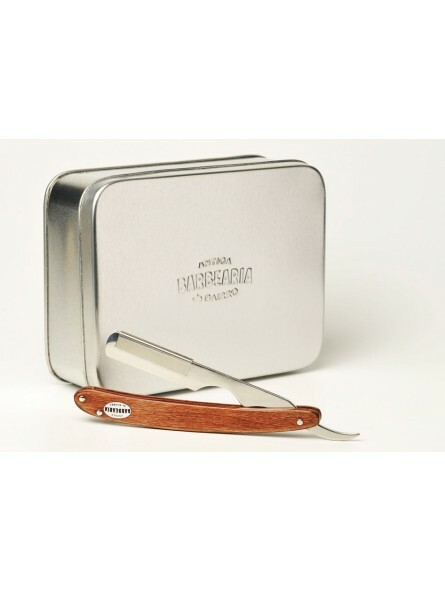 Antiga Barbearia de Bairro Wooden Barber Razor Shavette. Old fashioned straight razor "shavette" design. A high quality razor with an ergonomic designed and beautifully wooden handle. This is the most impressive Shavette style razor I have held. The $100+ Feather may be even better (I can't afford one), but this is the finest polish and finish I could ever expect. The multi-ply wood scales aren't fancy, but I expect them to endure many years of use with a pleasant wood warmth and respectable finish. The blade holder is wonderfully heavy compared to any shavette I have held (Dovo feels like a toy) and the forward thumb notch is a perfect distance for fine control. The polished stainless steel is impeccable and the slope of the holder towards the DE blade half is smooth and uniform across the width. If there is anything negative I've found, it is that it takes some care and time to load a broken half DE blade because of the tight tolerances of the holder. Of course that is also a good thing when you shave! This is simply the most serious effort I have found in producing a shavette that handles like a straight razor. 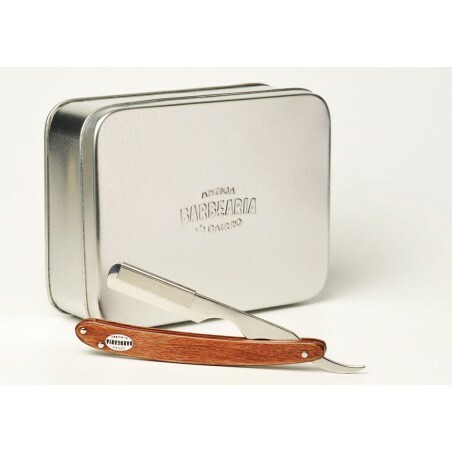 Thank you Gifts&Care for offering the Antiga Barbearia de Bairro Shavette!